Here is the thing about grief – though we think of it as something that happens after a death, it often begins long before death arrives. It can start as soon as we become aware that death is a likelihood. Once death is on the horizon, even just as a possibility, it is natural that we begin to grieve. Though this is different than the grief that follows a death, anticipatory grief can carry many of the symptoms of regular grief – sadness, anger, isolation, forgetfulness, and depression. These complicated emotions are often coupled with the emotional and physical exhaustion that comes with being a caregiver. When we know a death is imminent our bodies are often in a state of hyper-alertness – we panic whenever the phone rings, an ambulance must be called, or when our loved one deteriorates. This can become mentally and physically exhausting. The same is true of watching a loved one suffer, which is almost always part of a prolonged illness. Caring for them as they suffer takes an emotional toll on us. Additionally, we grieve the loss of the loved one’s abilities and independence, their loss of cognition, a loss of hope, loss of future dreams, loss of stability and security, loss of their identity and our own, and countless other losses. This grief is not just about accepting the future death, but of the many losses already occurring as an illness progresses. These things (and others) can contribute to a sense of relief when the death eventually comes, and a guilt that can come with that relief. These feelings are common and totally normal when someone has experienced an anticipated death. And yet we feel guilty for this relief, thinking it diminishes our love for the person. It doesn’t, of course, but this relief can be a confusing feeling. We sometimes need to consciously remind ourselves that the relief does not change the deep love we had for the person, rather it is a natural reaction to the illness. Accept that anticipatory grief is normal. You are normal and feeling grief before a death is normal. You are allowed to feel this type of grief. Seriously. This is a common phenomenon that has been documented for nearly a century. You are not alone! People may say annoying things like, “at least your mom is still here” that minimize what you are experiencing. Allow yourself to acknowledge that, though the person hasn’t died, you are grieving. Consider journaling, art, photography, or other creative outlets to express the emotions around things like acceptance of the impending death, loss of hope, loss of the person you once knew, loss of the future you imagined, etc. Explore mindfulness as a way of being present and aware of the many emotions you are coping with. Anticipatory grief is common among caregivers, but unfortunately when all your time is consumed with caregiving you may feel totally alone and isolated. Seek out caregiver support groups, either in your area or online, so you can connect with others who understand the challenges you are facing, including anticipatory grief. There are also online anticipatory grief forums. Remember that anticipatory grief doesn’t mean you are giving up. As long as you are there for support, you are not giving up on a family member or friend. There comes a time where we often accept that an illness is terminal and that recovery is no longer a possibility. Though it is a reality, there can be a feeling of guilt that comes with that acceptance. Focus on what you are doing – still supporting, caring, loving, creating meaningful time together, etc. You are shifting your energy from hope for recovery to hope for meaningful, comfortable time together. Reflect on the remaining time. Consider how you and your loved one will want to spend that time together. Though what we want may not always be possible, do your best to spend your remaining time together in a way you and your loved one find meaningful. 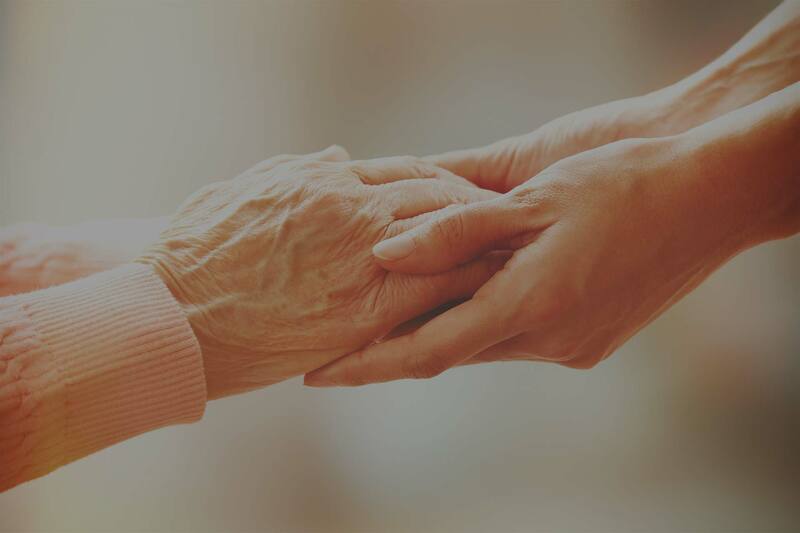 If your loved one is open to it, you may want to discuss practical matters, like advance directives and funeral arrangements to ensure that you are able to honor their wishes (rather than being stuck having to guess what they would have wanted). Just like we all grieve differently, anticipatory grief is different for everyone. Expect that everyone in your family may be experiencing and coping with anticipatory grief in different ways. Keeping the lines of communication open can help everyone better understand one another. If you are planning for the remaining time to be meaningful and comfortable, make sure to include all the important family members and friends in those discussions. I know, vague and way easier said than done!! But it is true. Consider yoga, meditation, and other self-care activities. Ask your hospice social worker for ideas if you need them. Remember the old cliché, you can’t take care of others if you don’t take care of yourself. Take advantage of your support system. Caregiving and anticipatory grief can be a long road. Do an assessment of your support system so you know which people may be able to help you out (and who you may want to avoid!). Counseling is helpful for normal, everyday people who just need a place to process complicated emotions and have some you-time. So just say yes to counseling if you are feeling overwhelmed with the feelings of anticipatory grief. Ask your hospice social worker for referrals if you don’t know where to start. In the case of anticipated loses there can be months, years, and even decades of caregiving that can be overwhelming and exhausting (though adjectives don’t even seem like enough!). When someone dies there can be a sense of relief that is completely normal, but that can also create feelings of guilt. Remember that feeling relief after an anticipated death does not mean you loved the person any less. It is a normal reaction after a stressful and overwhelming time in your life. Just because your loss was an anticipated loss, do not assume this will either speed up or slow down your grief after the death. We have said it before and we will say it again: we all grieve differently.